Designing a technically sound vehicle that flaunts all the glitterati and gizmos of the modern era, while at the same time filling its belly with as little of the world’s precious fuel as possible is very simply put, every major car makers dream for the near future. And while, it is a known fact that Volkswagen’s top boss Dr. Ferdinand Piesch has pioneered this movement to a great extend for the company and indirectly for the world, the scope and bandwidth of this vision was exemplified in the form of the XL1 concept car, that in real world conditions managed to cover an astonishing distance of a 100 km on a single liter of diesel. That is to be quite frank, the true quest for super efficient small packaging, which now as we see it is slowly moving a step forward as Volkswagen unveiled for the very first time in its history, a single-seater all electric urban city concept that according to the auto giant is quite easily the newest and most fine specimen of a car flaunting the ‘minimalist mobility’ moniker. Gaining a lot of attention at the very eve of the 64th Frankfurt Motor Show, where it will be looked upon a lot more closely and without doubt a tad of speculation, this racing car design inspired one man seater is what the company likes to call the NILS Concept. The first thing that ought to catch your attention is the fact that the car has four free-standing wheels, just like that of an F1 car. But, it’s not built for race track, but rather for transportation within the city, which as per German Traffic Demography data seems to make a lot of sense. Built to be as compact as possible, the NILS will definitely make city drives a lot more hassle free thanks to its meager proportions. It is 3.04 metres long, which is about 50 cm shorter than one of Volkswagen’s latest urban hatch offerings for the world, called the up! 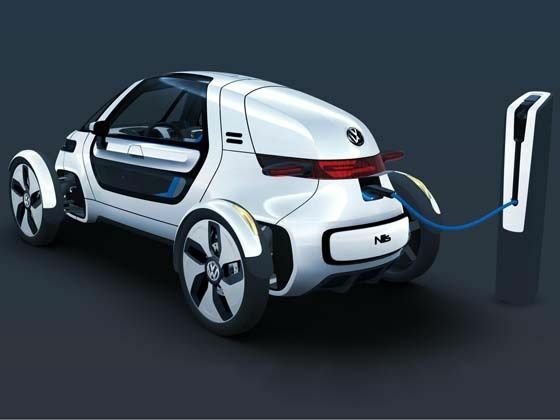 Just 0.39 metres wide from wheel to wheel, and a mere 1.2 metres tall, the NILS’s lightweight 460 kg body houses its 19 kg engine at the rear, where like all plug-in electric cars of the modern day, the 15 kW lithium-ion battery pack can be recharged at an electric vehicle charging station. 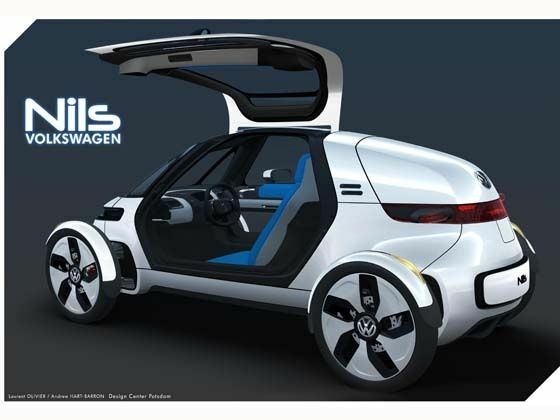 NILS Concept designer Thomas Ingenlath, has kept the proportions of this single-seater quite bare minimum, but curvaceous and aerodynamic at the same time, which brings us to what sort of performance one can actually expect for a one man city car like NILS. Great post! !Amazing car..nice pics..thanks for sharing..
Its a amazing car so thanks for share with me. Great post! !Amazing car..nice pics..thanks for sharing. Are this cars available in reality? If yes then I want to buy this. It's body is so classical and color combination are too good, It touch my heart.